They are the latest in surface finishes that are now gaining more and more popularity and resin bound driveways are certainly a close second to our block paved driveways which have been around for decades. We stock a wide variety of finishes that we supply and install whether it's to create a new drive or to re cover existing concrete etc, and it's an extremely versatile product that once laid will give a permanent finish you can be proud of. Once installed it produces a maintenance free surface that is both pleasing to the eye which is safe and comfortable for pedestrians to walk on and strong enough to take all types of vehicles in a domestic or commercial environment. One of the questions we're asked is "are they easy to maintain"? The simple answer is 'yes', because there is little or no maintenance except occasional brushing or washing with mild detergent. There are basically two types with resin driveways and these are 'bound' and 'bonded'. 'Bound' means that resin is mixed with the aggregates to make a workable mix that is laid over a constructed or finished surface such as concrete or tarmac. Laid over these surfaces provides an extremely hard wearing surface that is both attractive and slip resistant. Bound is described as 'permeable'. 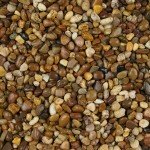 'Bonded' is when a resin is spread over an existing or formed base and then aggregate is then scattered to provide a strongly bonded layer that appears as gravel, nevertheless is permanently fixed. Bonded is described as 'non permeable'. Both have their merits and have been used successfully for over 25 years originating in the US and now extensively used here in the UK. The advances made in epoxy and polymer resins have led to systems that cater for all types of commercial and domestic applications. The aggregate colours cover many combinations of stone patterns and shades from white through to black. From a base palette of 32 colours, these can be applied as one colour or any combination running into hundreds if not thousands of alternatives. We can supply samples from our stocks at any time. When we measure your driveways, paths or other areas we will show you a selection of different designs and colours explaining what can be achieved with your particular driveway, leave you with a free fixed quotation and plan showing everything to scale. Once you have had time to fully absorb all the details provided you can then contact us for an available date of installation or request more information.